What’s the biggest thing you’re struggling with right now when it comes to learning English? So in other words: what's your biggest problem about learning English right now? I guess that many of you have Effortless English lessons. You listen to them everyday, I hope so. I'm trying to do the same but sometimes I have a problem... with myself and my motivation. I think that's normal. Everyone has good and bad days. Learning English is really hard work. And there is a time when you just don't have enough power to listen AJ Hoge's lessons once again. I'm sure that I'm not alone with this kind of feeling. I used to listen to Power English lessons during my everyday travel to my job, but when it's rainy or cold like now (Winter is coming! ), I'm just leaving my headphones at home and going to my job in silence. That sounds strangely and sadly, but I'm just a human, not machine. Ok, so that's the BIGGEST problem with learning English that I have. It's motivation. What kind of problems you have? Please do not afraid to write in the comments and share your experience. Maybe you have some good tips for me how to stay motivated and focused, huh? my problem , I can't speak English well when I listen to power or original English i can understand but when i speak i fell disappointed and wait more to think . ther is another problem I used to memorize with pen and paper when i speak i feel that i forget them . i started studing your two weeks ago .but i didn't feel better yet . what 's the solution, please? i'm very bored and every day i stay up late to memorize the new words . i have bought Effortles English course because i think it won't require agreat effort but i found reverse. Two weeks is a short time. 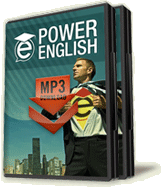 You need to feel relaxed about listening to Effortless English lessons. I felt a big improvement after 5-6 months. Remember that you are going to learn English deeply. Keep listening maximum time and try to speak as possible.Believe me ,it will help you to become a good english speaker. can give me agood way to use it? can you give me agood way to use it? In the beginning try to listen to first lesson set for one week. When you feel that you MASTER it, go to the next set. I was doing like that and it worked. Sometimes I have the same problem and I don't want to listen to the same topic ones again. So I just start listening AJ podcasts or audio from another lesson set. Or sometimes I listen to different audio from the internet such as podcasts, radio, lectures of any university, etc. I am trying to find some really interesting stuff for me. If I am too tired after my job and can't study I just watch an interesting movie in English. Then later when I feel ready I go back to AJ's lesson and learn it deeply. Also you can find interesting information according to lesson which you study at this particular time. For instance, let's take the first lesson "Day of the dead". There a lot of interesting photos, videos and articles about the Day of the dead on the internet. So you can watch them first and when you listen to AJ's audio it will be easier for you to imagine a colorful picture of the celebration. Anyway I have a really problem with my writing. Do you have any ideas how to improve it without studying grammar? Your tips are really great. I will try to follow some of them. Thank you! Probably the best way to improve your writing skills is reading. So read a lot, only interesting stuff for you. But I think that also writing such a post like you did it's also a good way to be better writer. I want to add one more. Please, don't be afraid of breaking rules. Even AJ's rules. You have to have fun with English. So if you don't like a lesson just skip it, move on. Enjoy yourself and English. Yes, you are right. Break rules, sometimes even AJ's rules. Very good point. when i can speak english with the same accent sometimes i speak but my accent is bad ? Don't worry too much about your accent. Remember that your goal is communication. When I listening to the new words in Vocaburary lesson for many times, i can't understand all things, but if I write it on the paper, i can understand. I wanna listen to understand everything, not need to write on the paper. But I don't want how to do, please help me. When I listening to the new words in Vocaburary lesson for many times, i can't understand all things, but if I write it on the paper, i can understand. I wanna only listen to understand everything, not need to write on the paper. But I don't know how to do, please help me. You have to wait... Your brain is still learning new things. Wait for big improvements. hello everybody, first i wanna to say thanks to all for given this blog and your comments i also have a problem for learning feels loosing very often after long gap get it back , so give me some ideas.. Probably the best way to not lose motivation is to using interesting materials for you. Follow topics, people etc. Learning English uses only English lessons is not enough in my opinion. You need to take some extra action. can the aj system apply to test???????????? yea i think so it can but, i think that getting a good grade in eng test and being obsesses about progress will only make you frustrate. First of all, i would like to say thanks to the owner of this blog and all of you who already mastering of english. 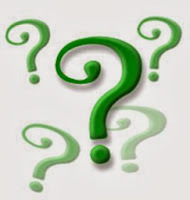 i have some questions, how to learn english well, could you give me the best way of learning english specially for conversations. Hi! i have a big problem...I don´t have someone to practice speaking. Could you say me what can I do? A way to do it? mr. aj is not just a good teacher but also a good motivator. Most of my time my motivation is going down. when i read this article i just always remember this to motivate myself. Hi everybody! I am Adeli from Afghanistan. I would like to improve my english, so talking with others is very important for me. If anyone is interested to talk with me this is my ID: adeli6413@gmail.com/ ... one thing more I would like to study AJ's Lessons. Is there any one who could help me How and where to buy AJ's lesson in Kabul? Please help me. Software engineering so extraordinary plans and we expounded on science studies and paid premier essay to write my paper science thoughts. Instruction vital for everyone and a debt of gratitude is in order regarding offer it. Advise me, How can be fluent in English and remember vocabulary.